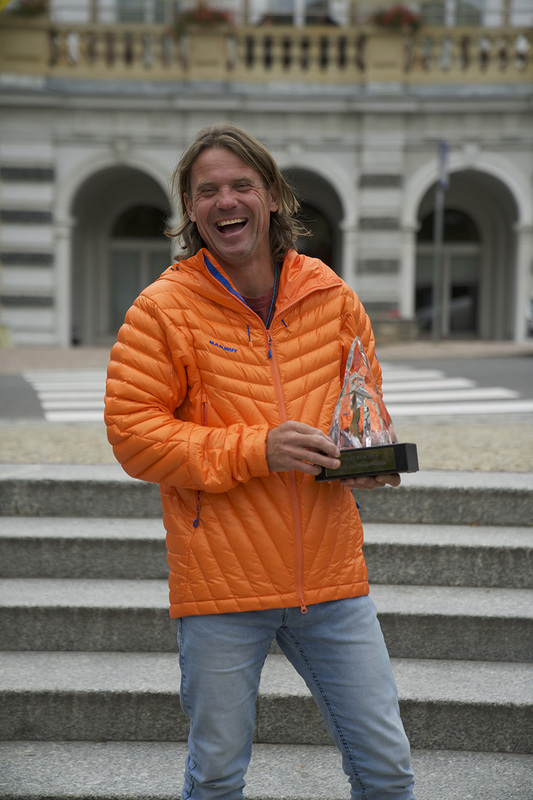 Mammut athlete Marek Holecek receives 2018 Piolets d’Or award for new climb up the 8000 meter mountain Gasherbrum, ascended with Zdenek Hak. Mammut athlete Marek Holecek and his climbing partner Zdenek Hak have won the Piolets d’Or. The two Czech mountaineers have received the highest honor for their exceptional performance in mountain sports. The athletes have conquered Gasherbrum I (8,080 m), which is located in the Baltoro region of Pakistan’s Karakorum mountain range, with a new route on the south-west face. They needed six days, from July 25 to July 30, 2017, to master the 3,000-meter long, highly technical line in alpine-style on the fifth attempt to climb it. The duo of Holecek and Hak defied adverse weather conditions and have been rewarded with the most important award in mountain sports. 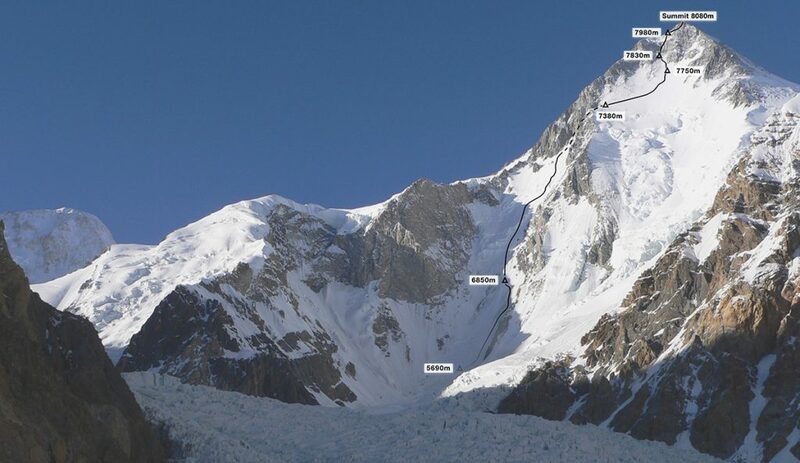 The new route on the south-west face of Gasherbrum I has been given the name “Satisfaction”. It took 43-year-old Marek and 37-year-old Zdenek six days for the alpine-style ascent on the new route. In addition, the two Czechs needed another two days to descend the mountain safely. “It was an unbelievable relief when Zdenek and I breached the tricky rock passages above 7,700 meters and reached the summit after such a huge endeavor. In some sections the actual climbing was so difficult that we had to take off our gloves and look for holds to make slow progress upwards. Climbing the headwall took us three whole days. Before that incredible moment on the summit, we spent four days at an altitude between 7,400 and 8,000 meters,” said Marek Holecek. 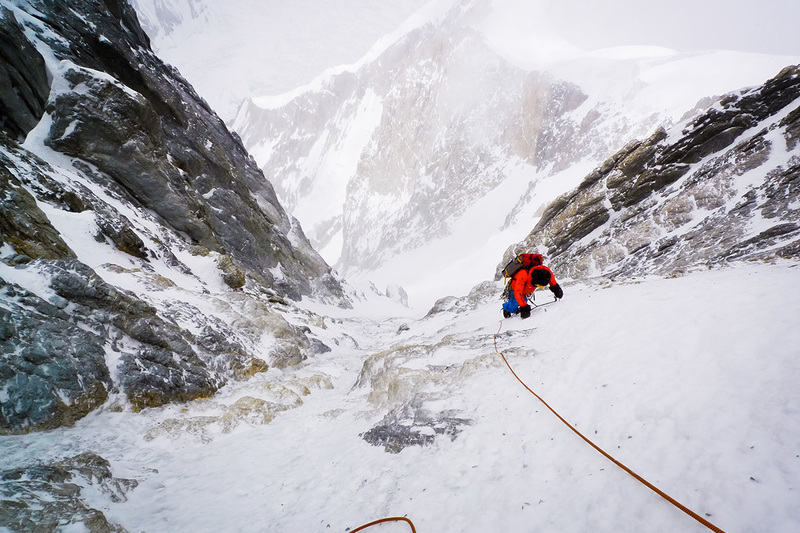 Marek appeared on the Piolets d’Or list of nominees with a second ascent, his 2018 expedition to Antarctica, up Monte Pizduch (“Bloody Nose”). In addition to Marek, two other Mammut Athletes – Stefan Siegrist and Dani Arnold – were nominated for the coveted award. Dani was also chosen for two projects: the free solo climb up the “Beta Block Super Icefall” on the Breitwangfluh and the first ascent of the “Schweizernase” route on the north face of the Matterhorn. Stef received the nomination for the new “Har Har Mahadev” route on the Cerro Kishtwar, which he successfully completed in a three-man team with Thomas Huber and Julian Zanker in the Kashmir Himalayas. “Standing on the summit with two good friends after all of our struggles was a huge moment, and it deeply touched all of us on an emotional level,” said Stef Siegrist. More information about Marek Holecek can be found in our Mammut Stories. Founded in 1862, Mammut is a Swiss outdoor company that provides high-quality products and unique brand experiences for fans of mountain sports around the world. This leading international premium brand has stood for safety and pioneering innovation for more than 155 years. Mammut products combine functionality and performance with contemporary design. With its combination of hardware, shoes and clothing, Mammut is one of the most complete suppliers in the outdoor market. Mammut Sports Group AG operates in around 40 countries and employs more than 770 people. 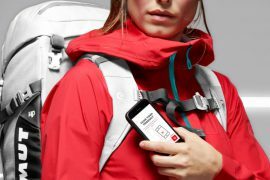 With its Mammut Connect the Swiss company launches first products with NFC technology in the outdoors: hardware and software in one unique product.